Now with refreshed fabrics and patterns! The Clutch Cube has soft handles for grasping. 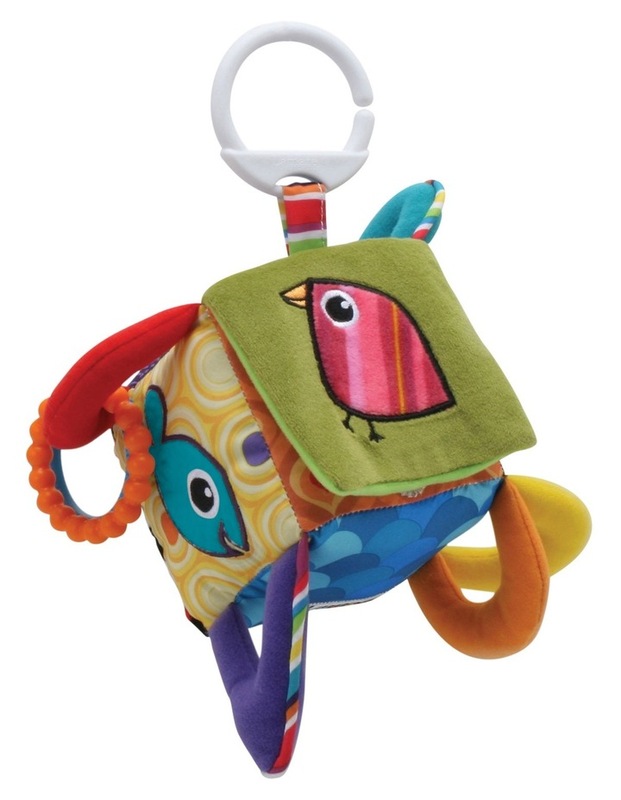 Textures, clacking rings, crinkle, and rattle encourage exploration.